Unfortunately, another star has passed away. Ralph Waite, died at the age of 85. The actor was extremely famous and appreciated for his role in television series The Waltons. The death of the talented actor was confirmed by his manager, Allan Mills. However, the cause of the death has not been revealed at this point. Moreover, the manager said that it was not immediately determined. 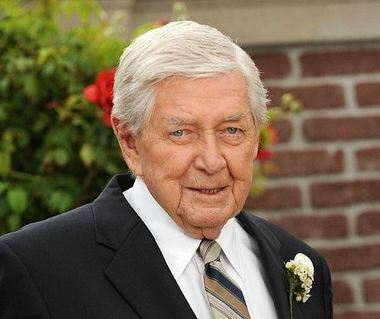 Ralph Waite was known to be in excellent health, the actor who lived in Palm Springs, California, actually starring in some new acting projects most recently. The actor appeared in some episodes of Bones, Days of Our Lives and NCIS. However, the star remains best known for his appearance in The Waltons, which aired on CBS between 1972 and 1981. Still, this is not the only famous project in which the actor starred. Ralph Waite also appeared in movies such as Five Easy Pieces and Cool Hand Luke. Throughout his long running career in the movie industry, Ralph made a series of appearances in television series. His first movie appearance dates back to 1967, when the actor has starred in Cool Hand Luke. In 1966, Ralph Waite made his debut in television series with his role in Look Up and Live. He also appeared in Sunshine State, Silver City, Letters to God, 25 Hill, Off the Map, Bones and Gray’s Anatomy. For his performances, the star received many award nominations, too. In fact, for his role as Walton, the star received an Emmy award nomination for lead actor in a drama. He was also nominated at the Emmys for his part in Roots. Ralph Waite was extremely proud to be the founder and director of the Los Angeles Actors Theatre, which was first established in 1975. It won numerous awards, while Waite even invested his own money to produce and direct certain projects. He is also known for his political involvement, Waite running for Congress no less than three times. Unfortunately for the star, each of his attempts turned out being unsuccessful. The actor was married three times. His first two marriages ended in divorce. The actor is survived by his wife Linda, two daughter and a stepson.